Bitter~Sweet ™: I Want It All!! During Diabetes Blog Week I wrote a tongue-in-cheek post that touched on meter accuracy and the high cost of d-supplies. So today I’ll go in a different direction and talk about making our d-technology more convenient. Because basically, I WANT IT ALL!!! One of the things I love about my Minimed CGM is that it sends the data right to my pump. I just push a button on my pump screen to view the CGM graph. I love that I don’t need to carry around a separate receiver. So I wouldn’t change this at all. But what about the times when my pump is inaccessible? What if it is buried under winter clothes or tucked into my bra or in a pocket that is hard to reach with my seatbelt on? In that case, I want to be able to view my CGM data on a separate device as well. And my device of choice would be my iPhone. I’m going to be carrying around my iPhone anyway, so I’d love to be able to tap the screen and see the same CGM graph that I see on my pump. Once I see the data my CGM is telling me, I’ll need to do a finger-stick to verify the number before taking action. I mean, pretend I see the 239 in the picture above. There is no way I’m going to bolus without confirming that reading, no matter how accurate my CGM has been reading. So I also want a meter attached right to my iPhone, like this one. And now that I’m ready to act on the information, I want to be able to do that right from my iPhone too. Yup, I want to be able to do everything the bolus wizard on my pump does, right from my phone. Does this seem like a tall order? Do I sound greedy or spoiled? Maybe I do. But I don’t really think so. After all, at FFL I programmed the DVR back home in my living room using my iPhone. I can stream movies, workout videos and television shows on my Wii. I can video chat with my friends over my laptop. (Okay, I haven’t actually done that yet, but I hear I can . . . ) So it doesn’t seem at all unreasonable to want to test, bolus and view my CGM data from my smart phone. That’s right. I want it all!! This post is my July entry in the DSMA Blog Carnival. 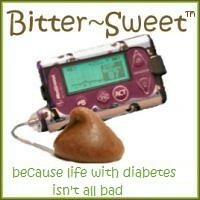 If you’d like to participate too, you can get all of the information at http://diabetessocmed.com/2011/july-dsma-blog-carnival/. I agree! Although I don't (presently) have an iPhone, the idea of carrying around less devices, not more, is very appealing. The on-board CGM capability of the Medtronic pump is the major reason I chose it over the others. I have enough stuff to carry around and keep up with already. 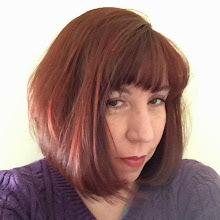 Great post Karen! OK, that meter that attaches to the iPhone and iTouch is COOL! Love the idea of being able to see and control a pump and/or CGM through a phone app, too. I've heard about the development of a pump that's controlled through an app...sorry, can't remember any details at the moment...brain fried! Hoping something like your dream will be a part of my Bean's future!! Heck yea!! That would be amazing! Funny, I was thinking the same thing...AND...I want it to work from miles and miles and miles AWAY from Joe. I would love to be able to peek at his CGM and bolus history while he is away from me...I was thinking of this as I sent him to hockey camp...and ... stalked him from the Warm Room. SERIOUSLY! My iPhone does so much so why can't we bolus from it? What I would love is a meter that sends me an e-mail saying what my daughter's blood sugar is when she tests (at school or at grandma's) so that I know if a phone call is coming confirming how to treat her high or low. I love the idea. I am a total tech geek (I get to play with and test phones all day long) and nothing would make me happier than you put every aspect of my Diabetes into my phone (or even one device for that matter.) The tech is out there, it is just a matter of getting a company to back it. HTC, Samsung, Apple must see dollar signs and they just don't understand the gravity this would have on the Diabetic community. I would be hard-pressed to believe that if one of the big phone companies made a "cool" phone with these features, that moms, dads and Diabetic would line up for it.